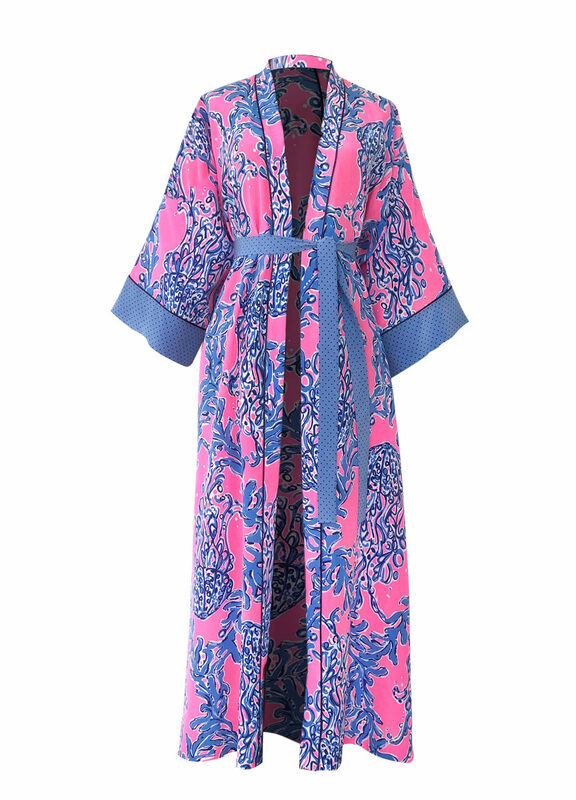 Inspired by a traditional robe coat, our Gloria Robe is languidly cut from luxurious pink crepe decorated with a stunning pink and blue coral motif and matching polka dot blue cuffs. 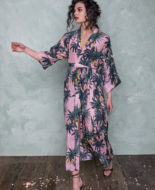 It has a figure-skimming silhouette that will flatter all body shapes. Contrast piping along the collar and cuffs. Perfect with our matching Karate Pants.